The countdown to Princess Eugenie’s wedding to Mr Jack Brooksbank has begun, with the couple revealing new details about the big day on the Royal Family’s website (royal.uk). 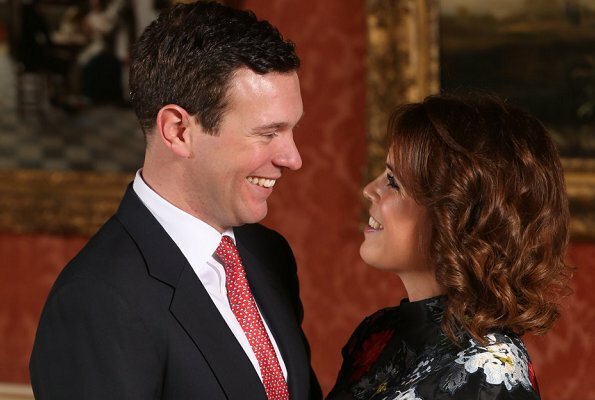 On October 12, 2018, Princess Eugenie of York and Jack Brooksbank are to be married at St George’s Chapel, followed by a reception at Windsor Castle. Ahead of the special day, the pair have released further details, including information about the wedding service, cake and military involvement. The Archbishop of York, The Most Revd. and Rt. Hon. John Sentamu, has written a personal prayer for the Wedding Service of Princess Eugenie and Mr Brooksbank, which will be included in the Order of Service. The Dean of Windsor, The Rt. Revd. David Conner will give the Address at their Wedding. The Dean will also officiate as the couple make their marriage vows. James Vivian, Director of Music St George’s Chapel, has written descants for two hymns that will be sung during the Service. Musicians from the Royal Philharmonic Orchestra (RPO) will perform during the ceremony. The Duke of York is Patron of the RPO. The internationally renowned singer-songwriter Andrea Bocelli will perform two pieces during the Service. State Trumpeters from the Band of the Household Cavalry will perform a fanfare during the Service, written especially for the occasion by the Commanding Officer of the Bands of the Household Division, Lieutenant Colonel Darren Wolfendale. Members of Nijmegen Company Grenadier Guards, of which The Duke of York is Colonel, will line the West Steps of St George’s Chapel as the couple depart after the Wedding ceremony. Pipers from the 2nd Battalion the Royal Regiment of Scotland will perform Scottish pieces from the Garter Tower as the Bride and Groom depart in the Carriage Procession. Princess Eugenie of York and Mr Brooksbank have asked London based cake designer Sophie Cabot to make their wedding cake. The red velvet and chocolate cake will be a traditional cake, with a modern feel. It will incorporate the rich colours of autumn in its design and will be covered with detailed sugar work including ivy. Sophie came to the attention of the couple through her involvement with The Duke of York’s Pitch@Palace programme, where she supplied specially decorated bespoke biscuits. Originally a costume designer, Sophie’s artistic skills and flair come through in her creations, with a particular love for making sugar-flowers and using her hand-painting skills to create unique cakes. I hope we can see the whole wedding on TV. Wonder who the designer is.I am sure she'll be a beautiful bride. Love to hear Andrea Bocelli sing he is fantastic. God speed to both. Agree! I look forward to the wedding! Don't know where you are in the world but here in the states, cable channel TLC will air the entire wedding live and then repeat it at least once later in the day ... which is nice since here on the West coast it begins around 1:30ish AM if you're going to watch it live. Does anyone know if the wedding will be broadcast in the United States? TLC will be broadcasting live. Thanks so much for the info. Looking forward to it! Yes, TLC will be showing it live. I think TLC might also stream it live if you have their app on your phone, etc. They did for Harry and Megan. Can we have the link of the live? Looking forward to the wedding tv broadcasting. I think she will be a beautiful young bride. It's on Daily Mail LIVE, as we speak!!!!! !